A Brave New World: Are You In The Zone? The last few weeks have been a hype train for news on Nintendo games coming in the future. What with the recent release of Mewtwo for Smash 4 for those who registered both versions (about which Conor did a great article you can find here), the announcement of Lucas and the Smash Fighter Ballot, and the leak of the tracks coming this week for Mario Kart 8 as the second DLC set, it has been a good week for Nintendo fans. However, unlike the others at Nintendo Scene, the Smash and Mario Kart news haven’t been the ones that have had me the most excited. 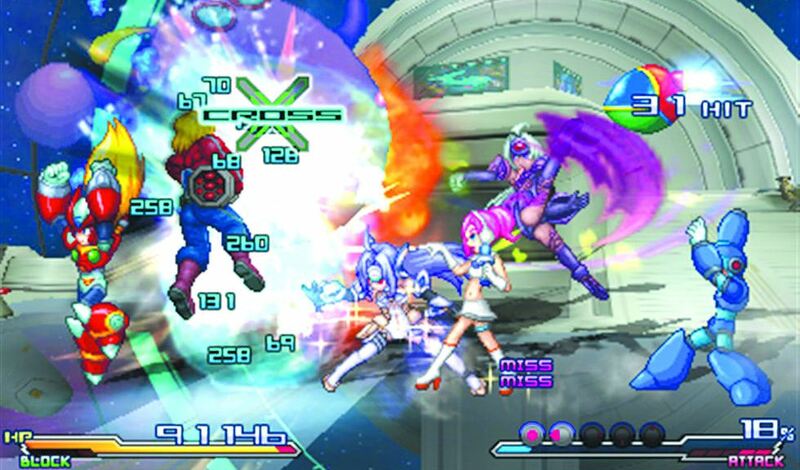 The news the raised me to fever pitch was the announcement that Project X Zone is not only getting a sequel, but that it is coming to the US region, giving the possibility of an EU release. Project X Zone was one of the most interesting and insane titles that I have played on 3DS. The basic premise is as the ultimate cross-over title: Sega, Namco Bandai and Capcom bringing their separate franchises together in an apocalyptic, world-shattering Japan. The story required to bring all of these disparate franchises was simply one of the most chaotic, and yet remarkably believable (in context, anyway), plots I have ever experienced in a JRPG (which is saying something). The original characters that were introduced to tie together the plot were simply hilarious and wonderfully ridiculous Japanese archetypes; for instance a big-breasted, sweet-addicted girl and a long-haired slim martial arts expert are the original protagonists. The game itself even feels like a mashup of several genres, with JRPG, turn-based strategy and action-RPG all thrown together haphazardly, creating an experience that is initially jarring, but becomes one of the most wonderfully intuitive combat systems I have experienced. 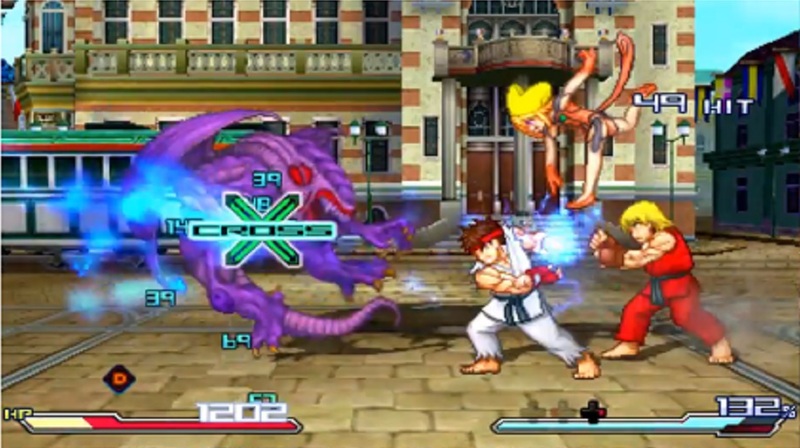 The concept of all your possible characters being in either pairs or trios, with attacks being mapped to different button presses and having the ability to chain attacks into long and entirely over-the-top, visually arresting strings of carnage is often breath-taking (especially with stereoscopic 3D turned on). Your characters level up, gaining more attacks and various stat boosts, and can carry equipment to give additional effects to the pairings. The bulk of the gameplay falls with a similar genre to Fire Emblem, with the players moving their units around the grid-based battlegrounds, engaging enemies and healing other units. Needless to say, even the thought of a sequel is exciting to me. The fact that the US teaser trailer not only showed more characters from the three companies and some of the same style of amazing attack sequences, but also teased the return of the brilliant original protagonists of the first game. If the developer trio manage to come up with another plot line of the same (or better – of course) calibre and keep and refine the frantic gameplay of the original, this could potentially be one of my most anticipated 3DS titles. But, what about you? Did you play Project X Zone, and what did you think? Are you excited about the sequel of it? Below is the teaser trailer in all its glory, just in case you missed it.